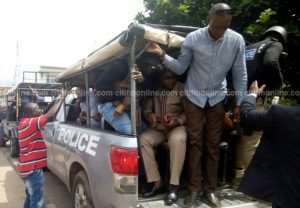 As Ghana explores measures to tackle the issue of political vigilantism, members of the Delta Force, aligned to the ruling New Patriotic Party (NPP) have expressed their readiness to compromise and help disband it. Delta Force has already welcomed the government's plans to end political vigilantism in Ghana saying that the importance of the Delta force has been diluted by the inception of similar groups, hence the support for disbandment. They do not, however, agree to the assertion that the government should give them permanent jobs. “Some of us work, having our own businesses. Some have their PhDs and other degrees. The majority are also traders. They already have their jobs. They have been working from 2008 till now. They are ordinary Ghanaians who have certificates to apply for jobs if they need it. So it is not because of this [vigilantism] they will go home jobless. There is nothing like that. We are not paid from anyone also,” Chairman of the Group told Citi News. Analysts have said the activities of political party vigilante groups could destabilize the country and reverse the democratic gains the country has made over the years. The phenomenon has ignited a national debate following a surge in violence by members of vigilante groups aligned to Ghana's major political parties, NDC and NPP. The Greater Accra Regional Chairman of the opposition National Democratic Congress (NDC) Ade Coker, believes that the surest way of ending the unlawful activities of vigilante groups is to provide them with jobs. According to him, the recent acts of vigilantism in the country is a clear indication of a high rate of unemployment in Ghana facing the youth. Meanwhile, Vice President Dr. Mahamudu Bawumia, has called on the Ghanaian youth, especially those in the Zongo community, to resist any attempt to drag them into any anti-social activities, especially political vigilantism. He urged them to concentrate on tackling the major concerns of the Zongo communities, including jobs, education, and business development.